Events held here only during the summer months. 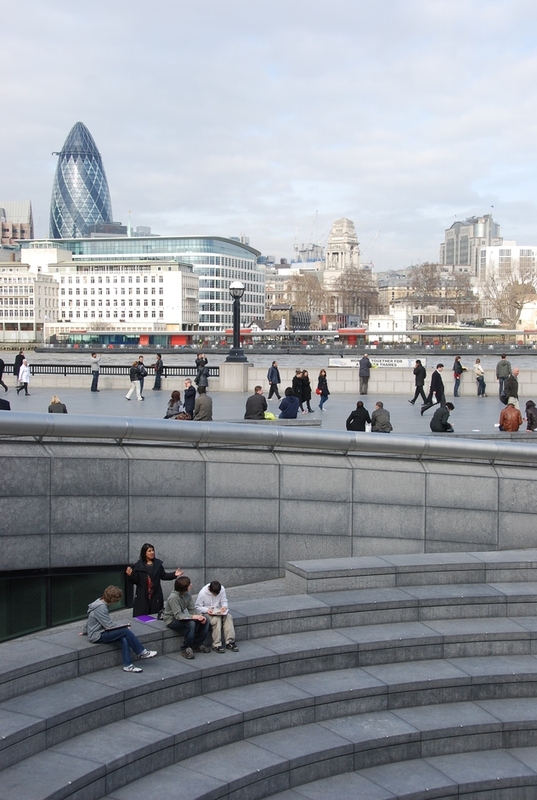 Multi-purpose sunken outdoor amphitheatre next to London Bridge and Tower Bridge, next to City Hall on the South Bank of the Thames hosting films, theatre, music, and dance events throughout the summer. The Scoop is home to the free annual open air theatre festival, with performances held on Wednesday to Saturday evenings, free films and sports screenings, typically showing big matches like Wimbledon and the World Cup. With 1,000 seats available there's plenty of room and, more often than not, you don't need to book, just turn up. What are the best dining options near The Scoop at More London London? The Scoop at More London gyms, sporting activities, health & beauty and fitness. The best pubs near London The Scoop at More London. The Scoop at More London clubs, bars, cabaret nights, casinos and interesting nightlife. Where to have your meeting, conference, exhibition, private dining or training course near The Scoop at More London. From cheap budget accommodation to luxury 5 star suites see our deals for The Scoop at More London hotels, including Cheval Three Quays Apartments from 83% off.